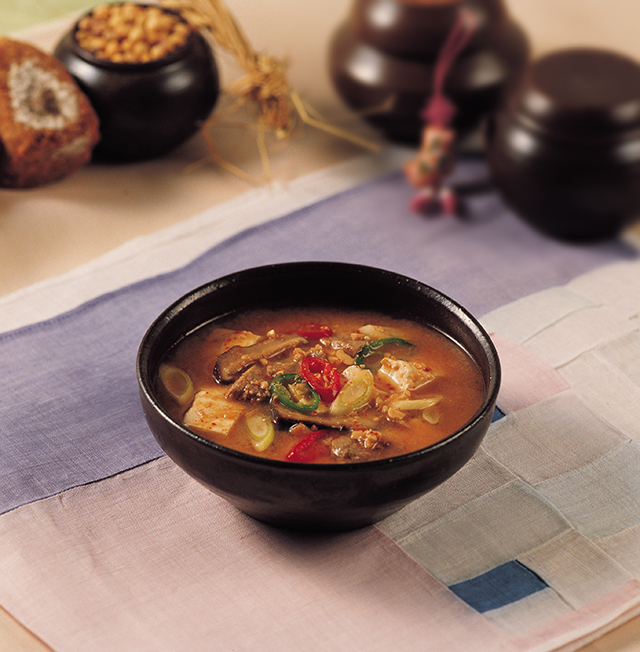 Doenjang Jjigae is a fermented soybean paste pot stew mixed with tofu, pumpkin, and soy sauce; traditionally has been served in an earthen bowl. 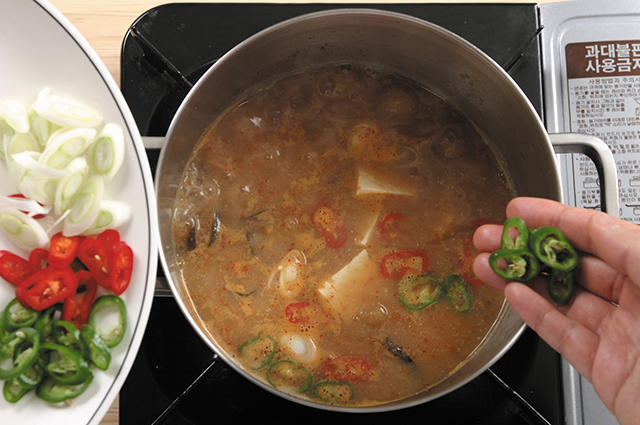 Doenjang is a popular Korean fermented sauce made from soybeans; it helps get rid of smell of meats; and it also includes Lecithin which is good for preventing from geriatric diseases. 1. Clean the beef; cut into 2.5cm wide and long; 0.2cm thick. 2. 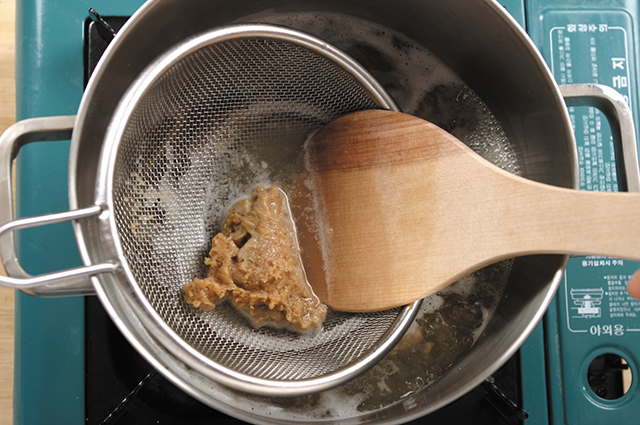 Soak the shiitake mushroom in water for 1 hour. 3. 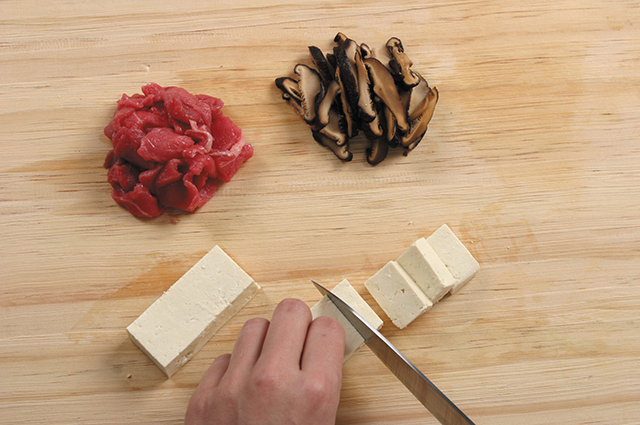 Cut the tofu into 2cm wide, 3cm long, and 1 cm thick. 4. 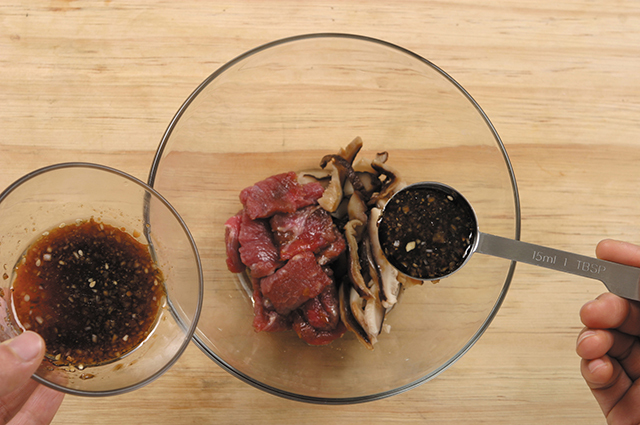 Mix the beef and shiitake mushroom with the seasoning sauce. 5. Cut the chillies and spring onion into 2cm long and 0.3cm thick. 1. 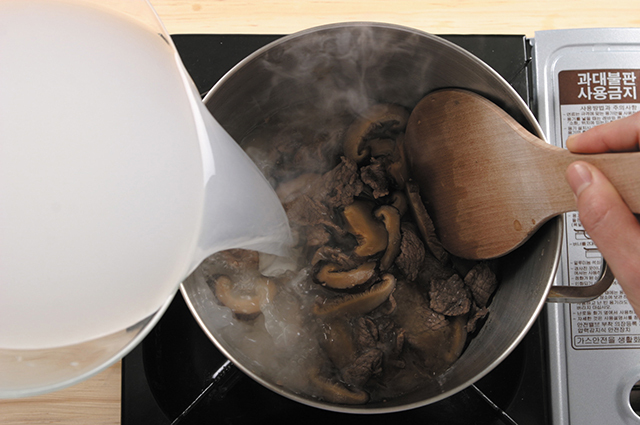 Stir fry the beef and shiitake mushroom at medium temperature for 2 minutes; pour the water (from washing rice). 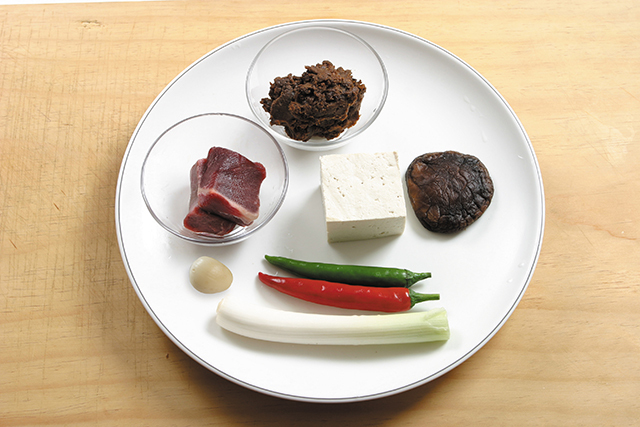 * Do not boil tofu too long (for softness). * You can use a young pumpkin in summer.